If you are interested in a Norman Island yacht charter please browse the British Virgin Islands yachts and contact us directly for the latest luxury charter deals available. 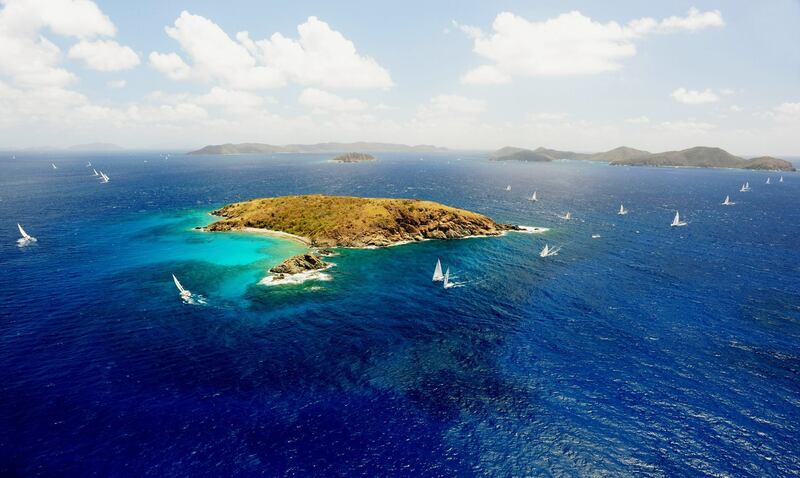 Norman Island is located at the edge of the Frances Drake Channel and it is quite close to Tortola and Peter Island, so we are in British Virgin Islands territory here! Accordingly Norman Island and the BVI is a perfect spot for a Caribbean luxury yacht charter. 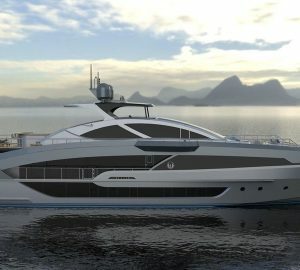 In fact there is a large selection of crewed luxury yachts and charter yachts in the area as this is an area of beautiful beaches, islands and anchorages – all necessary to attract the luxury yachts. Onshore there is also many things to see and do in and around Norman Island. For example, some spots around the island are renowned for scuba diving and with the clear and warm Caribbean waters, swimming is a true pleasure. Yacht charterers can take tourists to popular sites around the Norman Island such as the caves. Several caves along the entry point of Bight are worth exploring. Norman Island is also easily accessible from other islands of the Caribbean and the Virgin Islands. If you haven’t already, Norman Island is definitely a place to have a look at on your yacht charter holiday in the Caribbean. Norman Island has lately become a tourist destination because of its pristine surroundings and uninhabited land measuring around 600 acres. The island is just 3 miles at its farthest points and it features loads of natural attractions such as fine beaches. There is a central ridge that cuts across the entire length of the island. You can go up to the Norman hill which is the highest point on the island. It stands at around 122 metres and when you manage to climb to the top you get the most beautiful view of the whole island. Norman Island also has some of the best beach resorts in the region. Here you can relax for days and also take part in activities such as scuba diving and swimming. 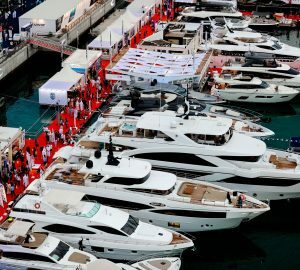 In order to promote tourism in this region, there are quite a few yacht charter facilities made available to the tourists. In the yacht charter circles, Norman Island is also known as Treasure Island since it is known to have the lost treasures that the pirates brought in land. The island also served as an inspiration for the epic writer, Robert Lewis Stevenson who wrote the epic classic, Treasure Island. 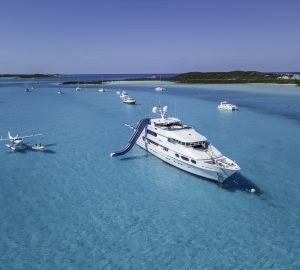 Norman Island is a perfect yacht charter resort since the island is not commercialized and practically uninhabited by human civilization. Your Norman Island yacht vacation will include visit to exotic places near the island so that you can experience the vagaries of nature. While on your Norman Island yacht charter holiday you can go underwater to see the teeming marine life and the corals of various colours. The island is home to many natural caves that have been formed due to the elements of nature such as wind, sea and the sun. Some points in this island are known to harbour exotic bird species such as pelicans, laughing gulls and tropical birds. The important destinations for yacht charter circles in the Norman Island include the caves, marine life, jungles around the islands. If you want dining entertainment then you can head to the one of its kind floating restaurant called Willie T. Apart from the floating restaurant there are loads of other restaurants offering a vast array of cuisines from around the world. The Bight and the caves are excellent sights for snorkeling. The caves are worth exploring but do see to it that you visit them with an experienced yacht charterer only. Bight serves as the islands popular staging point from where you can hire luxury yachts, super yachts and pleasure boats. Summer is the best time for Norman Island yacht holidays since the days are clear. You can go for the popular one day yacht charter tours or you can choose an itinerary of several days. If you would like to drink then Pirates Bight is a good place. Here the fun and excitement start 4 pm onwards and goes on till the wee hours of the night. 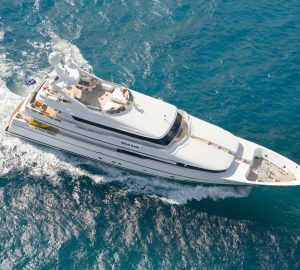 Below is a random selection of a few of the yachts available for charter in the Virgin Islands and therefore in Norman Island – please go here for the full list.